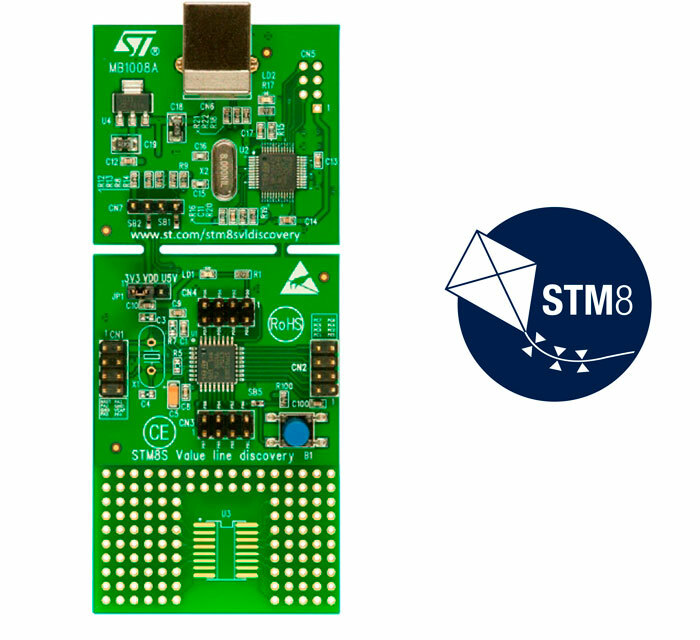 The STM8SVLDISCOVERY is a quick start evaluation board which helps the user to discover the STM8S Value line features and to develop applications. It includes everything required for beginners and experienced users to get started quickly. Even though the STM8SVLDISCOVERY is built around an STM8S003K3T6, it allows evaluation of the main features of all the STM8S Value line MCUs. It includes an ST-LINK embedded debug tool. The STM8SVLDISCOVERY simply plugs into a PC through a standard USB cable. Numerous applications are available from the www.st.com/stm8svldiscovery web page.